Coming soon, Rega's remarkable RP10! We love the Rega RP8 turntable so were excited to hear the new top of the range RP10 when Rob from Rega brought it here and demonstrated it to us. We certainly weren't disappointed! Rega have taken the brilliant skeletal construction of the RP8 and refined and enhanced an already impressive turntable massively with the RP10. The stunning new RB2000 tonearm is beautifully hand polished to minimise weight and has ultra high tolerance paired bearings to maximise detail retrieval. Fitted with the Rega Apheta MC cartridge it was clear that much more information was being extracted from the record groove. The RP10's custom ceramic flywheel effect platter looks striking and is diamond cut to ensure absolute accuracy and flatness. In addition the RP10 has a high performance power supply. Absolute speed accuracy is maintained by a new DSP signal generator utilising a high stability crystal. Each power supply is factory tuned to minimise vibration and optimise motor performance. The custom casework matches the Rega Aria MM/MC phono pre-amp which is the ideal partner for this superb record spinner. It may be a cliche but, listening to some of my well played albums, owned for several decades, and, at times, played on far lesser record players, I was amazed at how involving and unscathed they sounded. Anyone imagining that vinyl belongs in the past should come and listen to the RP10 when our demo model arrives very soon. 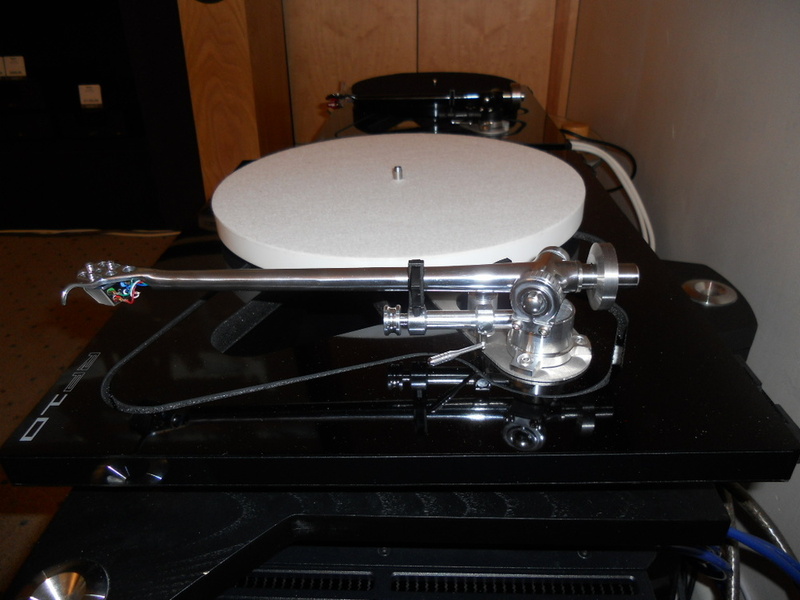 If £3598.00 (with Apheta) or £2998.00 (without cartridge) is too rich Rega turntables start at £230.00 with the RP1 (with Carbon cartridge) so there is one to suit every budget. Go on, dig out your favourite album and blow the dust off it. Give us a call and come in for a proper listen, the way we all used to play music. Sit down, put your feet up and hear an album all the way through, both sides, a proper record sleeve in your hands with artwork to admire and artist info you can actually read!